Most people don’t even know what the transmission in their car does. They just put it in drive and forget about it. Well without the transmission working properly you’re not going anywhere. The transmission multiplies torque from your engine to your drive axle. If it’s an automatic it does it by fluid going through the transmission. And if you get a leak it could spell costly repair bills. And nobody wants that. When your transmission overheats due to not enough transmission fluid it could start slipping and worse complete destruction. Regular checks on your transmission can help tremendously. Elkhart Mechanics can help with that. They can do fluid checks, filter changes and diagnostics on your transmission. You don’t want to ignore your transmission until it’s too late. The transmission is the part of your car that determines whether it is parked, neutral, driving, or going in reverse. Most cars made in the last twenty years have automatic transmission, but people of a certain age probably remember learning to drive a car with manual transmission, or a stick shift. When your transmission is acting up, the fix could be as simple as adding more transmission fluid, or it could be something more complicated. If your transmission needs a new clutch, your car may be slow to react when you shift the transmission into a different gear. Another sign of a malfunctioning clutch is a grinding sound when shifting gears on a manual transmission, or feeling the car shake when you shift gears with an automatic transmission. A faulty transmission can make a variety of sounds, including buzzing, clunking, humming, and whining. 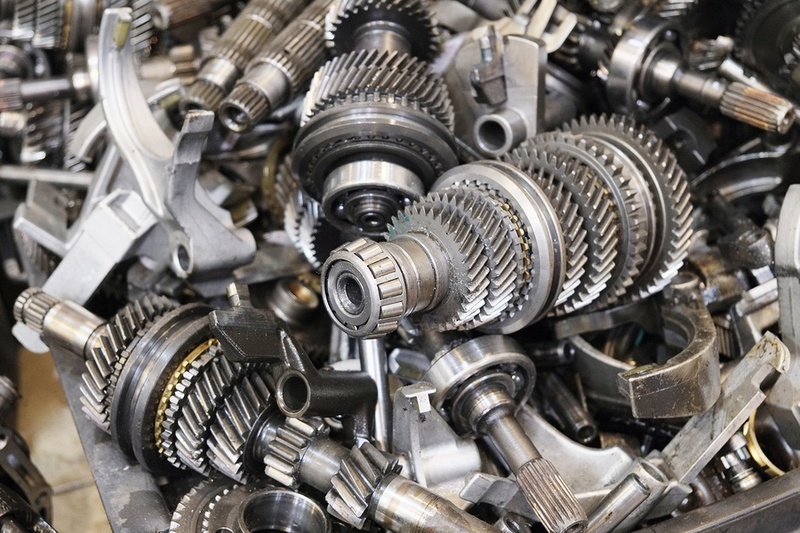 If your transmission makes a bumping sound when it is in neutral, it could indicate a problem with the bearings, gear teeth, or reverse idler gear. If your car is leaking transmission fluid, which is red, it is important to take it to the garage immediately, because a transmission fluid leak can ruin your transmission and other parts of your car. If you have an automatic transmission and it seems stuck in one gear and will not shift, the problem is probably with the car’s computer system, and you should take it to the garage to do an engine diagnostic. Usually, the check engine light will come on long before it gets so bad that your transmission gets stuck. If your transmission is having any problems, from weird noises to something more serious, we are here to fix it at Elkhart Mechanics. We are experienced in dealing with vehicles with automatic and manual transmission, and we will always give you a good price.